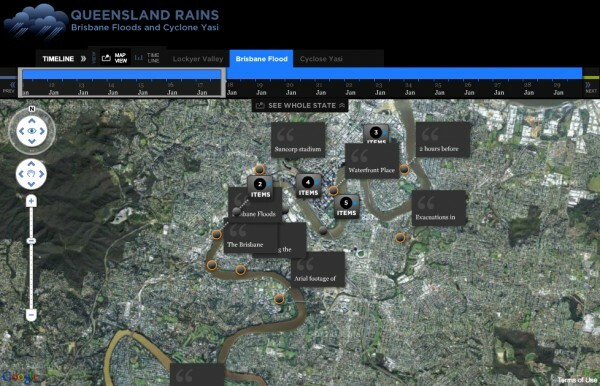 DisasterMapper, an interactive resource for schools, has received the Australasian Fire and Emergency Services Authorities Council (AFAC)/Motorola Knowledge Innovation Award for 2012. Not sure how we missed this one, but a site we were involved with last year won an AIMIA for Best Children's, at the 18th AIMIA Awards earlier this year. We developed several flash components for the site, including a player that would load games and media from the back catalogue of ABC developed games, audio and video and a series of games based around the "Giggle and Hoot" TV program. There's some more information on the components in a blog post that we posted earlier. We've been so busy this year that this prestigious award must have slipped through but we were very happy to work with the ABC for Kids team and congratulate them on putting a great site together! 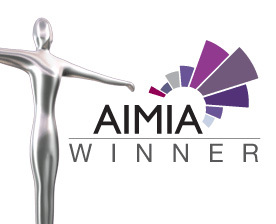 The AIMIA Awards are the peak Awards for the Interactive Media and Digital Content sectors in Australia, and year after year continue to deliver a strong and innovative showcase of award winning Australian digital content creations. Over 500 industry leaders, international and national interactive media celebrities, as well as federal and state ministers attend the ceremony. After a few weeks, we've updated our Push Notification extension to support the newly introduced Google Cloud Messaging, which depreciated C2DM. So once again you'll be able to receive push notifications in your AIR applications on Android. It's now available as part of our extension package here. Happy messaging! 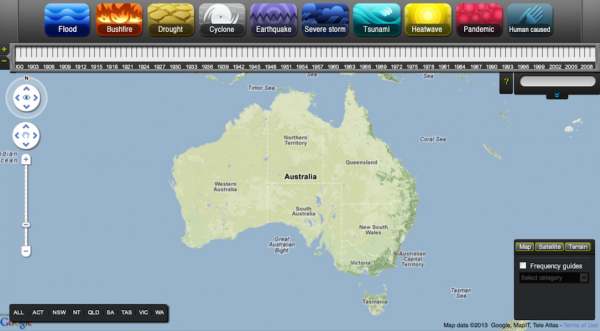 Over the summer of 2010-2011, three-quarters of the state of Queensland was declared a disaster zone. This is a community project to show the stories of people during these disasters. A project we did a while ago has been put up on the Victorian Zoos website. 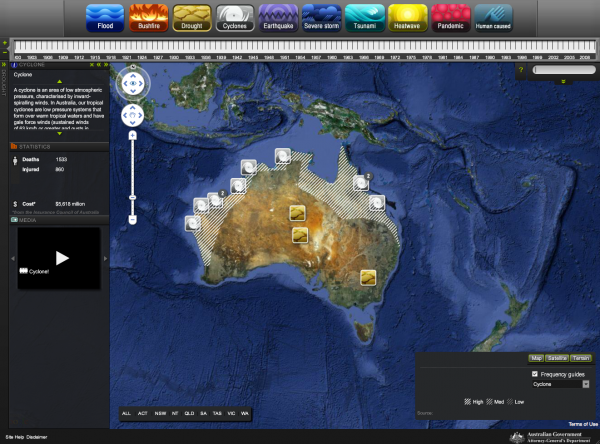 It's a small interface that helps gather information about the behaviour of the primates at the Melbourne Zoo. Here's a rundown of what we've been up to lately here at distriqt! First off - we've launched our new website. The new site includes a section displaying some featured work which shows off some of the projects we're proud of creating. As always, we are offering a full range of digital development services for projects ranging from websites, applications, games, digital installations and everything in between. The web and mobile industry is moving at an incredible pace these days. Given the latest trends, we are now proud to offer complete mobile development services for mobile sites and applications on iPhone, iPad and Android platforms. We've been working hard over the past year and have already created and deployed mobile apps for some of Australia's biggest bands, including The Living End, Angus & Julia Stone and many more. We also repurposed our Flash website for the fantastic Marija Ivkovic into an iPhone and iPad portfolio app. We'd also like to clarify that we still love Flash! The web industry has been moving away from Flash and Flex technology in many areas. Traditional web sites and microsites are no longer suited to using Flash, however Adobe is focusing the Flash runtime in exciting new directions, such as 3D gaming for desktop and mobile, and high-quality video streaming. While we're also excited about the future of HTML5 and CSS3, these technologies are not yet viable as a solution to reach a mass audience. We do love playing with shiny new things, however, so we can always offer HTML5 development for a suitable project! That's all from us for now - we hope you're having a cracking year. Feel free to drop us a line if you have an idea you'd like us to help you create. 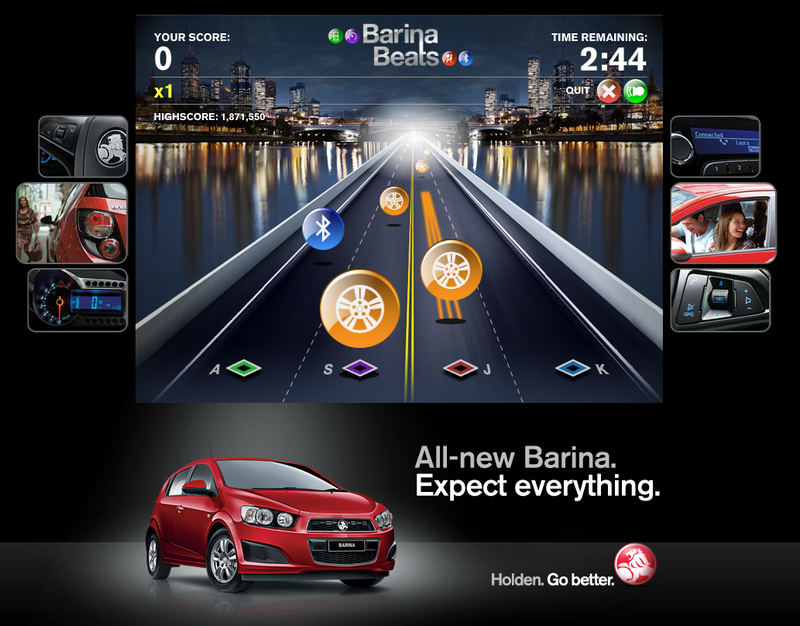 Holden's latest promotion for their Barina includes a game that we developed for ThinkNimble and McCann Melbourne. 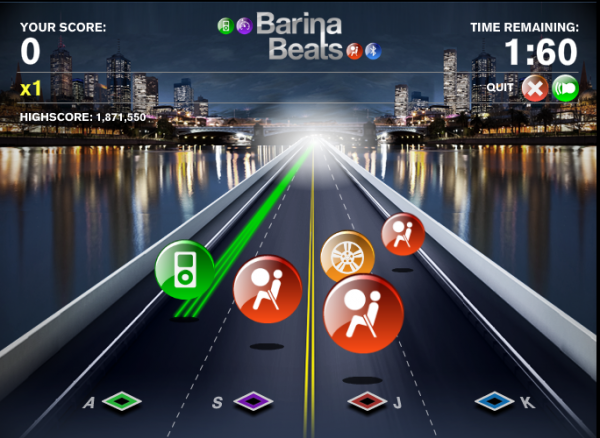 The game is a Guitar Hero style game, where icons move along the road and the player has to hit the matching key as the icon moves over the hit area. "The aim of the game is to beat the street and score as many points possible by hitting colourful icons as they race down the street! There are eight stages that get more challenging as you play. The prize? 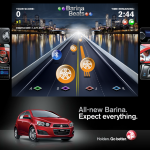 Whoever has the highest eligible score at the end of the competition period will win an all-new Holden Barina." So I know this was a few weeks ago now, but I took a few weeks off afterwards to travel around Europe and now that I'm back I thought I'd put together a few little thoughts on the week. As an Australian it's a long journey to Brighton, UK, and one that even with my passion for Flash could not be solely made for a 3 day conference. So with luck a few friends and I packed up and went off for a month to travel around France and Spain and I managed to work in the trip to Brighton for a few days.